Season 3 has got off to a roaring start. It began exactly like Season 2 did by opening with a character we’ve never seen before in an environment we’ve never seen before. The two scenes were almost identical. 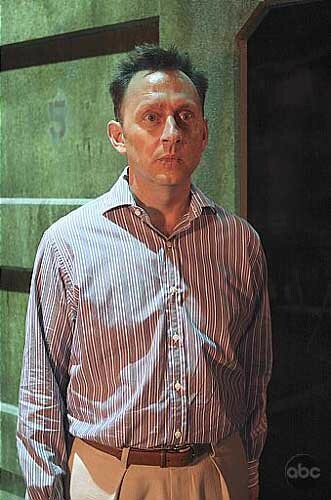 The most sinister of the new characters is Juliet, who freaks me out even more than Ben Linus (pictured here), known last season as Henry Gale and who claims to have lived on the island on his life. I was bummed to learn that (spoiler alert) Sun had indeed had an affair with the hotel heir. An adulterous relationship was only hinted at last season, but the truth came out in the second episode. Seems likely that Sun’s baby came from that affair and not from Jin, who we learned last season was impotent. The only other possible solution is that the island cured Jin in much the same way it cured Locke and Rose. Can’t wait for next week when Mr. Ecko, Desmond, and Locke are back on the screen.